For some reason, Amazon decided to eliminate Audiobook support in the black and white Kindle models. When the first Amazon Kindle was introduced, it had a black and white screen, and it had an audio jack to plug in a headset to listen to books using a crude text-to-speech computer voice. The feature wasn't particularly popular, and some book publishers didn't allow Amazon to support text-to-speech because they felt it would hurt their audiobook sales. As an audiobook fan, I can understand the publisher's point of view, because a computer voice is no substitute for a good narrator. I can't even imagine listening to an entire book read by a monotone computer voice. 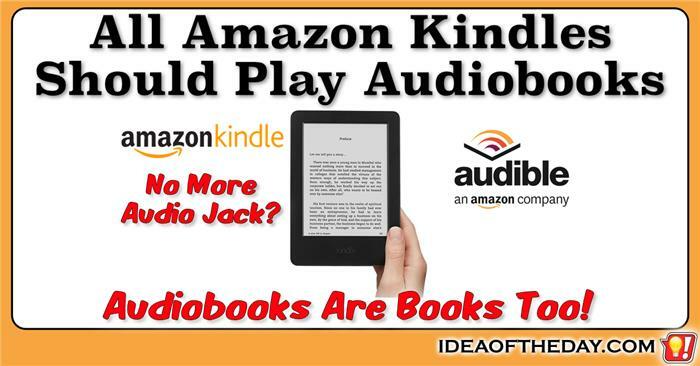 Simply stated, if you want your books read to you, get an audiobook version, read by a real person. 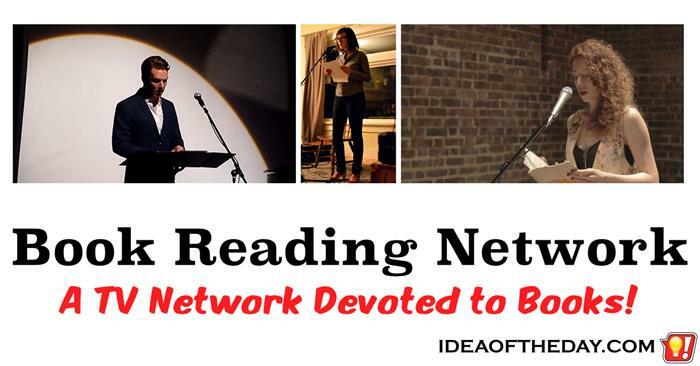 Book Reading TV Network. A Channel Devoted to Books. Have you ever attended a book reading? It's magical. I have to admit it. When I was young, I didn't like books. I dreaded every book I was assigned to read, and I didn't read many books on my own. However, I loved when my teachers read to the class. In grammar school, back in the 70s, one of my teachers read a chapter a day from books like "Charlie and the Chocolate Factory" and "The Hobbit". After each chapter, there was a collective sigh as each of us hoped she would continue reading, so we wouldn't have to wait until the next day for more.